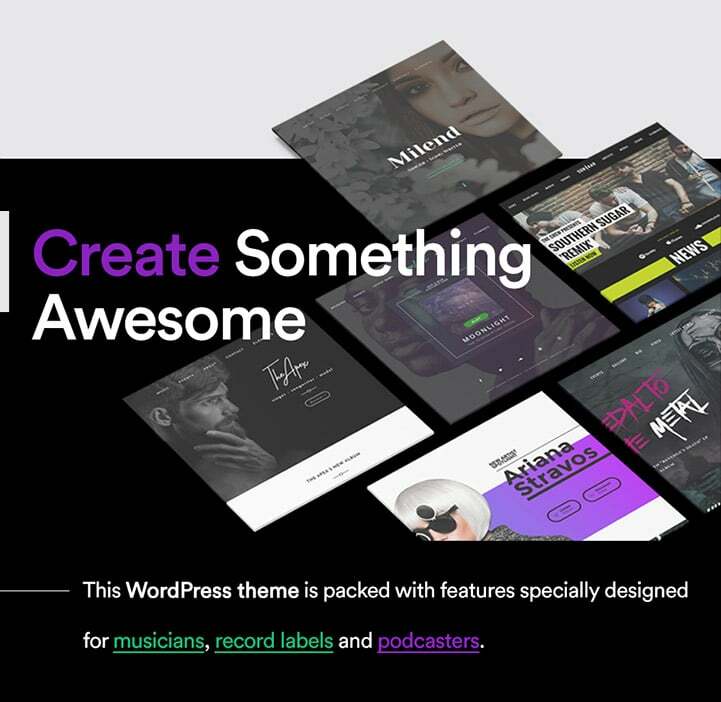 Why is Karbones one of the best choice for a Musician WordPress Theme? 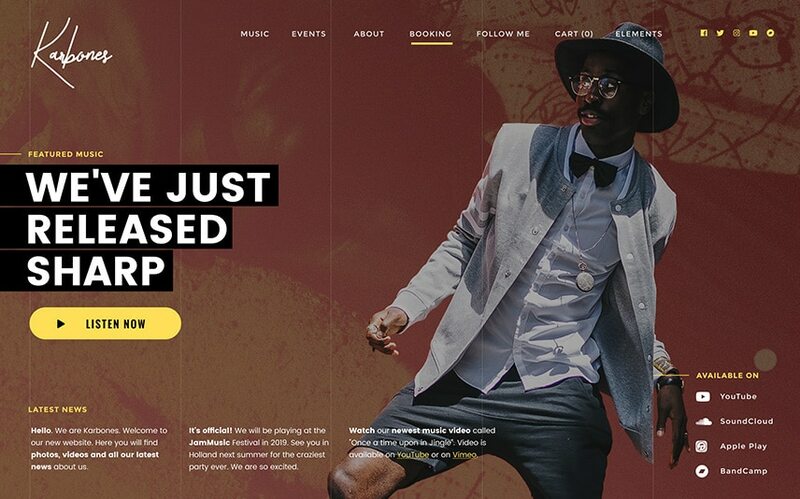 Karbones is a new one-pager Music theme for WordPress. 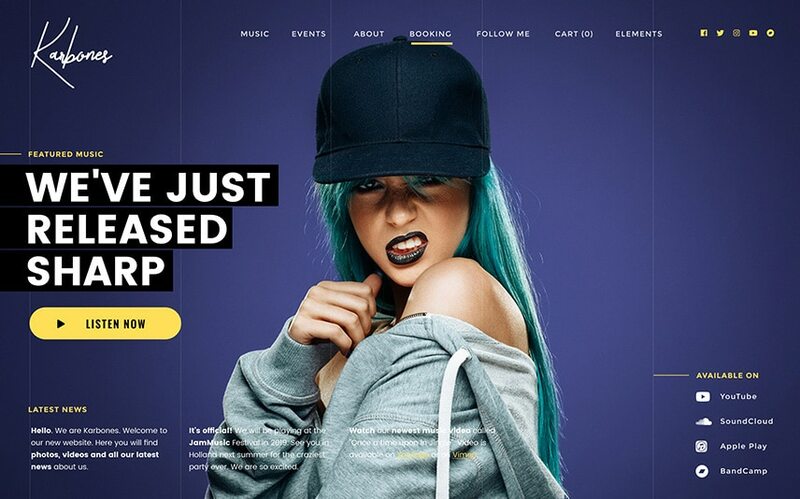 This fully responsive template will hook you up by its awesome page layout and design to create your stunning music band website. The slider is built with Revolution Slider, a premium plugin included for free within this WP Theme. With Slider Revolution, you can set an unlimited number of images in your homepage. You can also embed full-size video backgrounds! The best way to use this template is to duplicate (yes, there is a theme option for that!) the image carrousel from our one-click demo install and start to create your own one-page slider. Karbones has many features designed for Musicians and Music Bands. It contains several custom post types such as Event Manager, Discography and Album manager, as well as an Artist Custom Post Type to manage several artists in one place (This is useful for record labels agencies). It comes also with 13 custom widgets for Visual Composer. 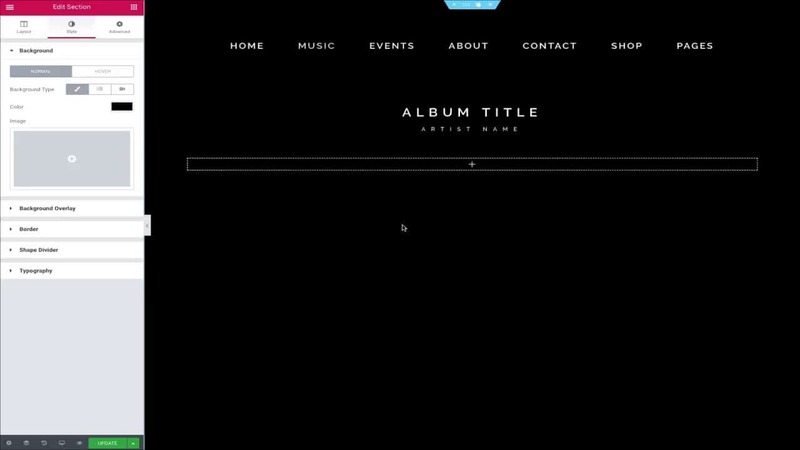 2 features that are really awesome on this musician WordPress theme are without a doubt the Music Player and the Ajax Page Loading functionality. With Karbones, you’ll get a continuous audio player through all your pages and the music won’t stop when you jump to another page. 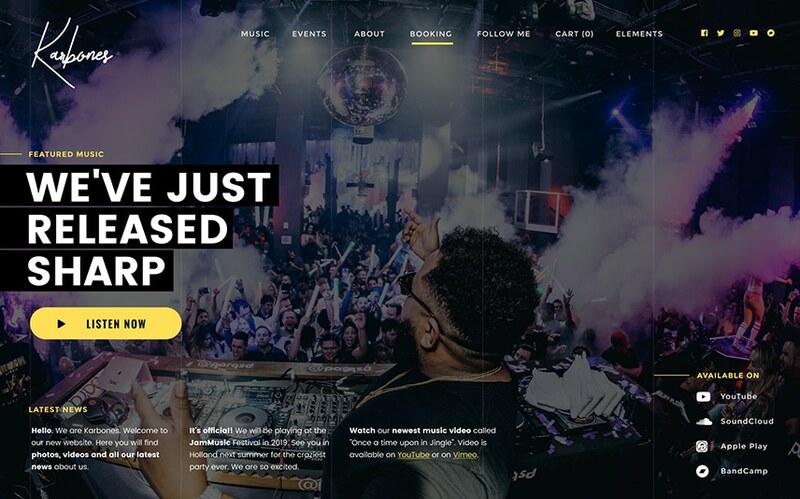 It’s an exclusive feature on this template and it’s the reason why this theme is one of the best WordPress Music themes in the music industry right now. With our theme customizer control panel, you will be able to change all the color schemes. You can also use any Google Fonts for your typography headings and texts. Your one-page website will be mobile-friendly and retina-ready for new upcoming mobile devices. In fact, our theme will automatically resize to fit the user’s screen on any mobile, tablet and desktop devices. Access this theme demo and use it on 1 website only. You get 1 year of theme updates and support. Billed annually for theme updates and support. Access all our theme demos and use them on unlimited websites. You will have access to all our future theme demos that we will release through the year. Billed $89 annually for theme updates and support. Access all our theme demos and use them on unlimited website. You will have access to all our future theme demos for Lifetime! You get lifetime support and lifetime theme updates. Price is only $249 and it’s a one-time payment, no annual fee. *For the Single Theme and All Themes plan, you can cancel your membership at anytime and your theme will still work afterwards. When you cancel your membership, you still have access to theme updates and support for the current year. After 1 year, your membership will automatically expire and you won’t get access to theme updates and support unless you reactivate your membership for the same price.